This morning I aimed my 70mm solar telescope at the sun and I almost got blown away by what I saw. 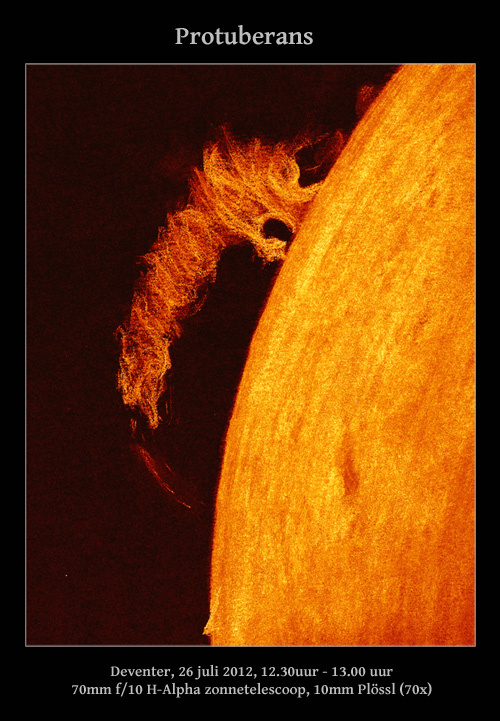 I GIANT prominence on the north eastern limb. I hovered above the surface like a huge dragon. I made a sketch with white pastels on black paper, color added and orientation-flip with Photoshop. Spectacular sketch! Thank you for sharing! Wow! !The prominence in the my birthday! !Great !!Bravo! !